For all Hard bricked Moto X Force devices stock at HS-USB Bulk, HS-USB QDLoader, HS-USB DLoader 9008 and other similar Qualcomm android devices brick mode, here I explain the step by step guides on how to unbrick your Moto X Force and recover the Moto X Force from either of the Qualcomm hard brick mode. This method uses the Blankflash files to kick your Moto X Force out of the QDLoader 9008 mode so that the device could boot to boot Loader and be detected in fastboot mode. From the feedbacks received so far, Moto X Force devices with Android 5.1.1 Lollipop installed has highest success rate. Only few 6.X.X devices succeeded. An update that supports 6.X.X and 7.X.X Moto X Force devices is expected to arrive by Now Available!. This method should now work with all Moto X Force devices. Having a working Moto X Force or anyone who has? Reach us via Telegram at Tellaryktech. - you will just run some codes on the device and send us the output screenshot. That simple! This will help us make as many as possible Moto X Force unbrickable! This Moto X Force unbrick solution is similar to the solutions provided for the Moto Z Play, Moto G5 Plus and Moto G4 Plus only that the files given here are specific for the Moto X Force only. Qualcomm HS-USB Driver This driver, when installed, enables your PC communicate with your Moto X Force hence helps identify the device correctly. 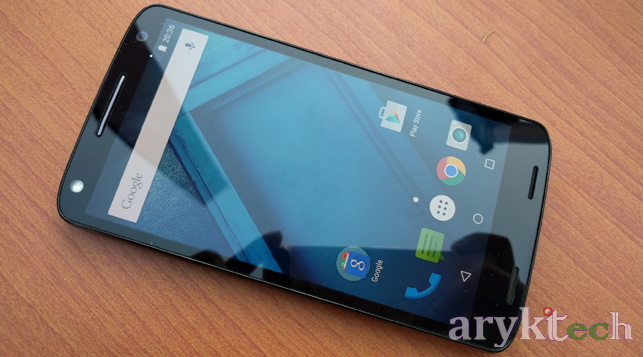 Moto X Force Latest Stock Firmware These are the stock (official) firmware for Moto X Force. The firmware is required to flash and restore your Moto X Force to factory defaults. Moto X Force Blank Flash This file is specifically modded to work with Moto X Force. When launched, this tool will detect your Moto X Force in Qualcomm HS-USB DLoader 9008 mode (if connected to the PC) install latest bootloader and kick it out of QHS-USB Bulk, HS-USB QDLoader, HS-USB DLoader 9008 or whichever related brick mode it may be. DiskImageRev2 DiskImageRev2 is the utility tool that will be used to flash the loader.img file on your SD Card and this in turn, will make it possible to boot your Moto X Force from the SD Card. Moto X Force Loader.img This turns your SD Card to a bootable partition that can be mounted by your device so that RSDLite or similar tool can detect your device and flash official stock firmware on it. Your SD Card For Moto X Force, either 8 GB or 16 GB SD Card should be fine. - the later is recommended. 3. Download the appropriate Moto X Force firmware from the table above. 4. Now, extract or unpack the Moto X Force stock official firmware you just downloaded from the step 3 just above here. 5. Connect your Moto X Force to the PC and hold on while the drivers are being installed. Connect your Moto X Force to the PC again. 6. Download, extract / unpack the Moto X Force Blank Flash file onto a folder on your PC. 7. Open the Moto X Force Blank Flash folder and Double-click the blank-flash.bat. A Command Prompt window will open and that should detect your Moto X Force connected. 10. Now, download Moto X Force Ported Bootloader archive file from the table above and extract it onto a folder on your PC. 11. Open the Moto X Force Ported Bootloader folder and then Open Command Prompt in that folder. Your device should be listed. This is to confirm that the PC can now see your Moto X Force in fastboot mode / bootloader mode. 16. Congratulations! You just unbrick your Moto X Force from HS-USB Bulk, HS-USB QDLoad 9008, QHS-USB DLoad 9008 or whichever Qualcomm brick state it was. This second method to unbrick Moto X Force employs the use of Moto X Force ROM Dump also known as full blk0 backup file. This file, saved as Moto X Force Loader.img file can be flashed on an SD Card and used to revive your hard bricked Moto X Force. With the correct Moto X Force Loader.img file, you will be able to access your Moto X Force recovery partition again. The Moto X Force Loader.img file ONLY boots your device to bootloader / recovery mode and not the OS. This method aid your Moto X Force unbrick solutions. It's not the do-it-all. This Moto X Force Loader.img file will not boot your device to OS. You need full firmware to do that. This Loader.img file only loads Motorolla Stock Recovery partition on your device. This Loader.img file does not currently load custom recovery such as TWRP on your Moto X Force therefore, only Stock Firmware can be restored to using the method described here. RSDLite, Motorola Device Manager successfully restored my device but my Moto X Force still boots to recovery. What can I do? Before you boot up the phone or while the phone boots up, make sure you remove the SD Card from the phone. The PC no longer see my Moto X Force in Qualcomm HS-USB QDLoader mode. What's wrong? Until the SD Card is in your phone, PC will continue to seeing the phone as functioning properly but only with flat battery. My Moto X Force is stuck at boot logo instead of booting to recovery. What can I do? Try another SD Card. You must use a first class (Class 10) grade one SD Card that's really fast. My Moto X Force is in recovery mode but Motorola Device Manager / RSDLite does not detect it. Is something wrong? Yes. Something is wrong. Check your USB Cord, USB Port or make sure that your drivers are properly installed. With each instance, you can try with another device to confirm. 6. From DiskImageRev2, browse to the folder where you saved / copied the Moto X Force Loader.img file on your PC and select it. Once DiskImageRev2 has successfully written the files on the SD Card, your SD Card is now bootable! You may now insert it on your Moto X Force and boot the device using its bootloader key combo. Does these files working poperly? I've already made the purchase. Could you send for me plz. Your order has been processed. Please check your PayPal email for your download link. Do you have files for moto g turbo edition xt1556? Seu comentário não é compreendido, mas funciona para todos. I made a purchase and I am now waiting for the link. Your invitation to access the unbrick project folder and download the files will arrive your email (PayPal email) within the next few hours. Thank you. no meu nao reconheceu o aparelho mesmo com o drive reconhecendo o qualcomm e com o nome como indicado. achei estranho. Siga as instruções de forma estrita e verifique se os drivers estão instalados em conformidade. Até então, o seu dispositivo não será reconhecido pelo PC. While waiting to receive files, I had to do more research, because I couldn't get any of 3 PCs i tried to recognize Phone as "HS-USB QDLoad 9008"... after I came across someone else with a different device having the same problem. If your PC doesn't recognize device after installing all drivers, hold the POWER button for 1 - 3 MINUTES and then plug it in with a USB cable. This worked for me. I believe you're being attended. I guess you have reported the case on our Telegram channel and is being resolved. You will be contacted via the same channel once resolved. An update that supports 6.X.X and 7.X.X Moto X Force devices is expected to arrive by Nov 21, 2017. Itaré, this page will definitely be updated when the update arrives and working. Yes. Just updated few days ago. Hola buen día, ya tiene disponible los archivos blank Flash compatibles con 7xxx? Yes. It is now available. Is it already working on 6 and 7 android versions? Can I buy again? He had logged the issues and are being attended already. Please tag with this project page for the updates. The 'new' files do not worked for me, I am still waiting for a solution. Please indicate your model, and your device version history. Thank you for the feedback. Creí que recibió el enlace de acceso y descubrió que el error provenía de su dirección de correo electrónico de PayPal. Si tiene problemas al usar el archivo, por favor avísenos. It does work. Only that it is variant specific. You can confirm from the Moto Z Play, X Pure or X Style and other Moto devices users who have used ArykTECH loader files. I've got Moto X Force XT1581 with 64gb and it doesn't work. I'll pay for Blankflash or Loader, but if you confirm that this will definitely help my XT1581. By feedback on the forum forum.xda-developers.com Blankflash does not help much. Both files would certainly work for your device. Please use either of the IM Channels on our contact us page for fairly instant responses and troubleshoots. Hola buenos dias tiene los archivos en venta para androd 7.0.1 Blankflash xt1580 version 64 gb? Já fiz o pagamento, poderia enviar os arquivos para o meu email? Your files access link would be sent to your PayPal e-mail address shortly. Thank you. esse metodo funciona ou ainda é incerto ? Eu comprei e testei todos no meu XT1580 64gb do Brasil e não funcionou nenhum, segui a risca todo o processo e meu celular está a quase dois anos sem funcionar.